Love of music and ‘DJ-ing’ are inextricably linked and that is what the DJ Academy, Sri Lanka’s first-ever school exclusively catering to the education of Disc Jockeys (DJs) and entertainment industry training pursues passionately. 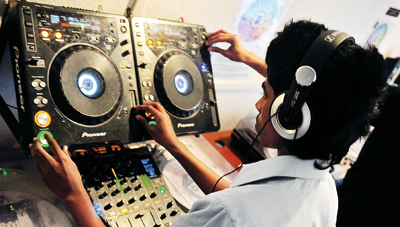 The academy offers quality training programmes in disc jockeying, electronic media and event management. 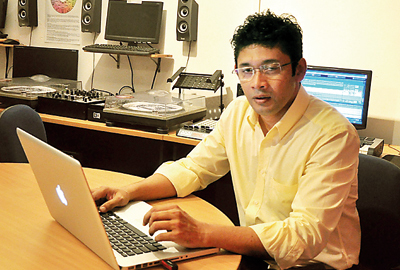 Setting up the academy in 2008, following a writing venture on a DJ handbook titled ‘Learn to be a DJ’, Tareeq realized that the art of disc jockeying was not something to be learnt off a book alone and the idea for an academy for DJs was conceptualized. Demand has been very high, with about 350 local and international students having been part of the academy up to now. The school offers individual lessons, making Tareeq and his team very busy people. They’ve definitely expanded and diversified over the years. Courses offered are both diverse and flexible, with many an option available for the versatile student (visit their website on www.thedjacademy.net for more details). Plans to decentralize will see the academy open a branch in Maharagama in January next year, in addition to conducting workshops and other programmes outside Colombo. ‘Wowed’ his pupils certainly seem to be, and they’re taking it onto their audiences. 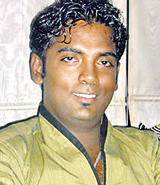 In 2009, six DJs from the academy played at the Hikkaduwa Beach Fest, one of the biggest events in the country. Last year, they hosted the Franco-German EDM (Electronic Dance Music) Project in collaboration with the Goethe Institut and Alliance Francaise. Four DJs from France and Germany were brought down to train aspiring young locals and they concluded with a symposium. Lakmini at Grants wins ‘Roger Hatchuel’ comp.